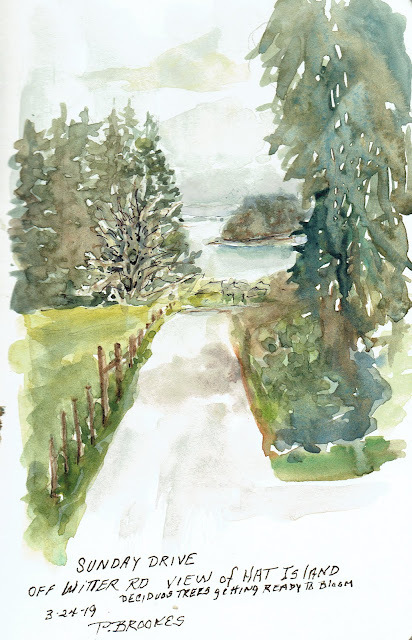 In this section, there will be more photos, particularly of places there was no time to sketch or the subject was so large (Newgrange) the I could not get far enough away to give you a scope of the subject. Newgrange "Archaeologists classified Newgrange as a passage tomb, however, Newgrange is now recognized to be much more than a passage tomb. Ancient Temple is a more fitting classification, a place of astrological, spiritual, religious and ceremonial importance, much as present day cathedrals are places of prestige and worship where dignitaries may be laid to rest. Ok, I'm drinking a beer (it should be Irish Whiskey) and remembering the feeling of standing under stones that are about five feet over my head. Imagine putting your hands on top of one another until you have the final stone(s) to cap this tomb! Is your hair standing on end yet? There are alcoves where the bones of dead were left for the year. You are standing under stones that were placed there 5,200 years ago! Maybe its the beer, but maybe its, Holy smokes, how could they do this! 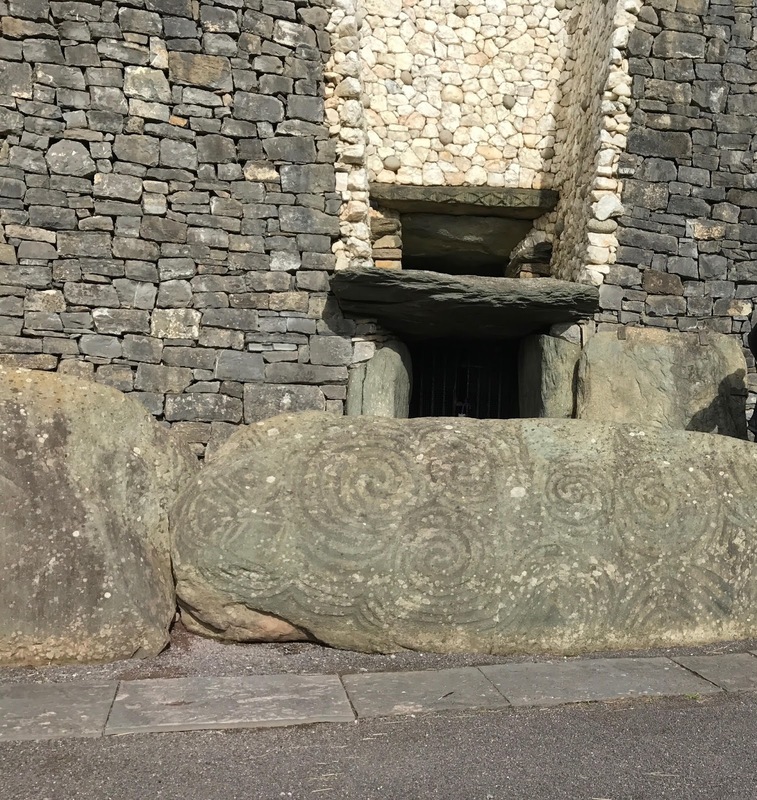 To put it into perspective, all the stones were gathered from 12 miles away at the river Boyne, rolled UPHILL, and then put in place designed by some 5,200-year-old genius, who understood, scientifically the Sun's alignment and how it would affect this chamber. This was done BEFORE THE EGYPTIAN PYRAMIDS WERE BUILT! Is your brain doing calculations yet? The only graffiti was from 1867 or so, from someone who discovered this chamber. Newgrange is a restored place and middle size of three that have been explored or restored. Some smaller mounds are being saved for future scientist/archeologists to discover. Please click on the link above to learn more about this extraordinary place.